Mirror with cover. 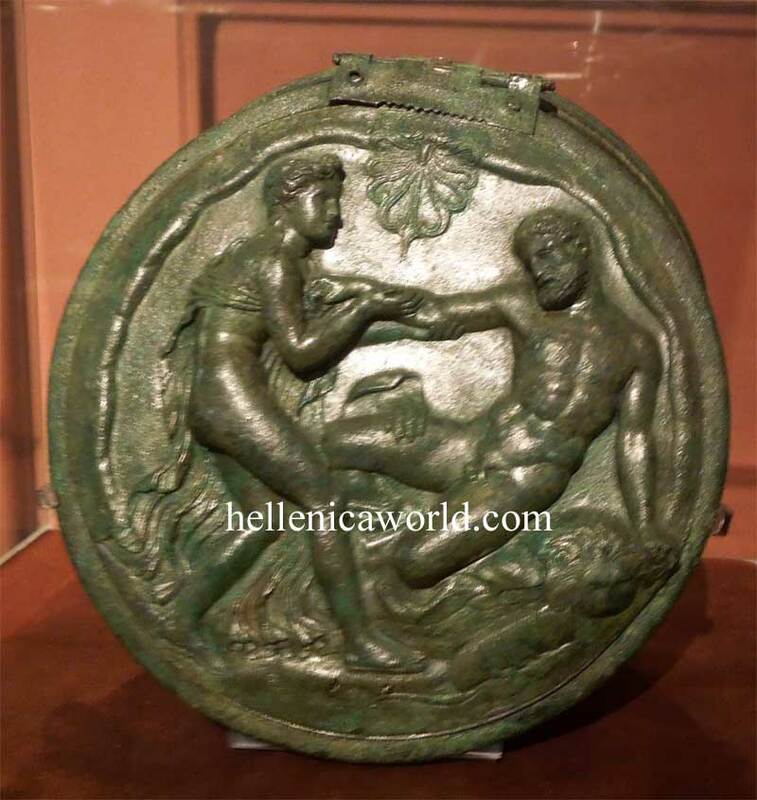 Herakles assaulting Auge, daughter of the King of Tegea Aleos. Bronze. From Elis ca. 340 B.C.